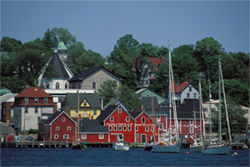 Nova Scotia: a province for all seasons, with a seacoast of diversity offering seven distinct regions and a richness in Acadian, Celtic, and Mi’kmaq cultures. Discover our enchanting villages, picturesque bays, towering cliffs. Stroll along the sandy beaches and swap stories with the local fishermen in our charming fishing villages. Hike, kayak, cycle, raft the world famous tidal bore, sail our many lakes, or take a sail back in history on the majestic Bluenose II. Watch the captivating breaching of the whales along our coasts. If golf is your game, Nova Scotia offers several award winning golf courses. 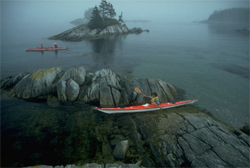 Explore our natural beauty, and experience our renowned hospitality. 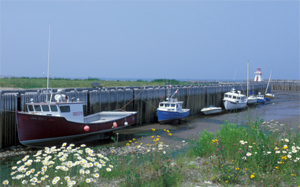 The World’s highest tides, The Bay of Fundy, allows you to walk the ocean floor and beachcomb for treasures. 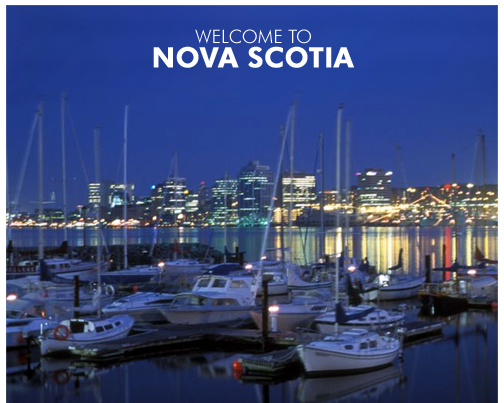 Choose from more than 700 Nova Scotia festivals and events. Aboriginal roots music, country, bluegrass, hip hop, pop and rock. 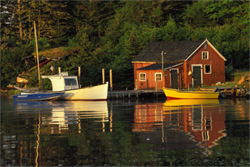 You will find it ALL in Nova Scotia. Celtic Colours International Festival is recognized as one of the top Canadian events. 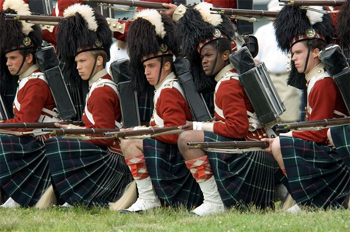 NS International Tattoo captures the spirit of our rich military past by using music and colour. 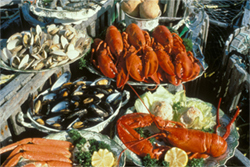 Tantalize your taste buds with fresh seafood, maple syrup products, wild blueberries, and award winning Nova Scotia wines. Cape Breton’s Glenora Distillery produces the only single malt whiskey in Canada. On Saturday mornings, stroll our local farmers' markets, where you will find many types of delicacies, crafts and produce. Museums and Historical Sites, such as Fortress Louisburg will enthrall you. 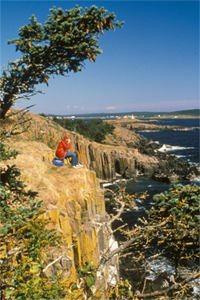 Lunenburg and Joggins Fossils Cliffs are both UNESCO World heritage sites. 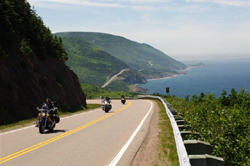 National Geographic traveler magazine described NS as "a must see" destination and Condé Nast Traveler recognized Cape Breton as the world’s most scenic island. 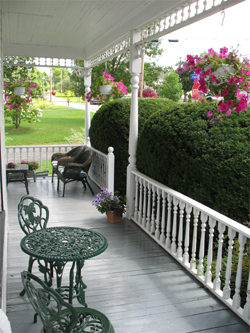 Experience authentic hospitality by visiting with your hosts at many diverse Bed and Breakfast accommodations throughout Nova Scotia, set in every type of surroundings: rural hamlets, whimsical villages, working pastoral farms, along the coast, city or town. Stay at historical properties, modern homes or magnificent architectural B&B's. Your hosts can direct you to restaurants, points of interest, festivals or events and enlighten you with local history and stories. At day's end your hosts offer genuine warmth and a memorable experience by sharing stories over a cup of tea or coffee.